We’re celebrating the start of the festive season this weekend at the Stade, alongside our friends and neighbours at the Blue Reef Aquarium. On Saturday 1st Dec the seaside will be awash with festive activities, from a Christmas market at the aquarium to the arrival of the big man himself. 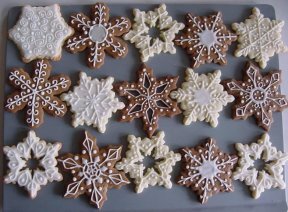 And we’ll be joining in at our lovely seaside cafe as well, with Christmas children’s crafts including bookmark making and the chance to decorate a delicious home made snowflake biscuit. We’ll also have Christmas activities for children of all ages including word searches, dot to dots and spot the differences, and a great selection of seasonal specials for young and old. Next post: Now you can eat @ the Christmas Market!